Achieve the smile of your dreams! At Euksuzian Orthodontics, we are dedicated to helping our patients of all ages achieve a healthy, confident smile! We offer our patients the most advanced treatment options and orthodontic treatments at our Moorestown, NJ practice to help patients straighten their teeth and correct their bite with a solution that best suits their lifestyle! At Euksuzian Orthodontics, we provide our patients with personalized orthodontic treatment plans that best suit their needs and their lifestyle. Braces are one of our most popular orthodontic treatment options for straightening teeth and helping patients achieve a confident smile! With a range of customizable options, we have braces to match your unique style and meet your needs. 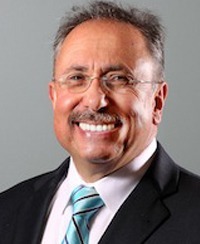 Dr. Sarkis Euksuzian and his highly trained team offer AcceleDent® Optima™ to help our patients achieve the smile of their dreams quickly and conveniently. AcceleDent® Optima™ is a supplemental treatment that works in conjunction with other orthodontic treatments to help cut total treatment time by up to 50%! This advanced accelerated orthodontic system works by using gentle micro-pulses to stimulate teeth, helping move faster through the gums. Hands-free operations for easy, convenient use. Compatible with all types of orthodontic conditions and treatments. A comprehensive suite of technological features, such as optional Bluetooth capabilities. Invisalign is another popular treatment option at Euksuzian Orthodontics. This treatment uses revolutionary clear trays, offering patients a discreet and comfortable way to straighten their teeth. The clear trays are made from a very smooth plastic that lays flat against your teeth for comfortable daily wear, without the scrapes and cuts brackets and wires can cause. The trays can be removed for eating so you can enjoy your favorite foods with any restrictions. The aligners are practically invisible, allowing you to have a confident, braces-free smile in photos or for big events such as a wedding. Oral hygiene is made easy and convenient because the trays can also be removed for brushing and flossing. Contact us today for a complimentary exam. A premier orthodontist that has treated over 16,000 patients in Medford, Moorestown, and surrounding areas. Dr. Sarkis Euksuzian is considered a well-known pioneer in the field. Dr. Euksuzian & staff are fantastic. If you are looking for the best , I recommend Dr. Euksuzian! Great practice. Reasonable payments. Quick visits for broken appliances. Excellent office environment! The staff is so amazing and professional. Could not be any more happy with EVERYTHING at Euksuzian Orthodontics! Recommend them 110%! The staff are professional, nicest people you would ever meet- and go well beyond expectations! I went to another orthodontist and ran out of there! Going to Euksuzian was like walking into "Orthodontist Heaven!" My son walked out with the perfect smile! Thank you for everything- and keep up the great work! Dr. E changed my life. My smile is the highlight of my life thanks to everyone at that amazing office. Before I started treatment I went to so many places I almost gave up until I entered the Medford office. I knew immediately after the consultation I would recommend this place everyone I could. A million thanks to Dr. E and his fantastic staff. Dr. Euksuzian is Awesome! He makes going to the orthodontist quick and painless and fun for the kids! Great experience for both my daughters. Very pleasant staff, and always running on time, and their teeth look fantastic! Euksuzian Orthodontics are truly amazing. I will totally recommend them to everyone. The staff there are all so pleasant, sweet, and go beyond what you would expect at an orthodontist office. My daughter and I thank you for such a great job! Wonderful experience. My son’s teeth look amazing. Great staff. I would highly recommend. The staff are so warm and patient. They are so flexible to your schedule needs. I would recommend Euksuzian Orthodontics to anyone seeking the most pleasant experience one could have at the orthodontist. The assistants are so friendly and do a wonderful job. Dr. Euksuzian is very experienced; he does great work! Very good experience every time we come. Staff and Doctor are always nice! The Dr. And his staff does a great job with our son! Amazing office and staff. I love how they took care of my child's teeth and personal situation. I would highly recommend to anyone in the area.